Weekendclinik mit Bent Branderup am 27. / 28. Oktober 2018 - d-bialluchs Webseite! 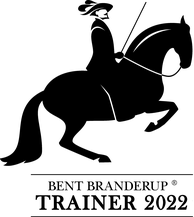 Every year, in cooperation with Julia Katharina Deuerlein and Martin Böker, I host a weekend training session where we invite Bent Branderup to give instruction at the Eickener Hof stables in Erkrath. 9.00 a.m. Theoretical instruction begins at 9.00 a.m.
10.00 a.m. Practical sessions begin with 8 participants and 30 minutes training each. 15:30 p.m. Second set of practical sessions begins. 19:30 p.m. End of the first day. Here practical participants will attempt to put into practise what they have learned on the previous day. 14:00 p.m. Lunch and conclusion of the event.